Vincent Anthony "Vince" Guaraldi (born Vincent Anthony Dellaglio; July 17, 1928 – February 6, 1976) was an American jazz musician and pianist noted for his innovative compositions and arrangements and for composing music for animated adaptations of the Peanuts comic strip. Guaraldi was born in San Francisco, California's North Beach area, a place that became very important to his blossoming musical career. Vince’s last name changed to Guaraldi after his mother Carmella Guaraldi (née Marcellino) divorced his biological father (whose last name was Dellaglio) and Vince was adopted by his stepfather, Tony Guaraldi. He was the nephew of musician, singer, and whistler Muzzy Marcellino. Vince graduated from Lincoln High School, attended San Francisco State University, and served as an Army cook in the Korean War. Guaraldi's first recording was made in November 1953 with Cal Tjader and came out early in 1954. The early 10-inch LP was called The Cal Tjader Trio, and included "Chopsticks Mambo", "Vibra-Tharpe", and "Lullaby of the Leaves". By 1955, Guaraldi had his own trio with Eddie Duran and Dean Reilly. He then reunited with Cal Tjader in June 1956 and was an integral part of two bands that the vibraphonist assembled. The first band played mainly straight jazz and included Al Torre (drums), Eugene Wright (bass) and Luis Kant (congas and bongos). The second band was formed in the spring of 1958 and included Al McKibbon (bass), Mongo Santamaría (congas and bongos) and Willie Bobo (drums and timbales). Reed men Paul Horn and Jose "Chombo" Silva were also added to the group for certain live performances and recordings. Guaraldi made a big splash with his performance with Tjader at the 1958 Monterey Jazz Festival. Guaraldi left the group early in 1959 to pursue his own projects full-time. He probably would have remained a well-respected but minor jazz figure had he not written an original number to fill out his covers of Antonio Carlos Jobim/Luis Bonfá tunes on his 1962 album, Jazz Impressions of Black Orpheus, inspired by the French/Brazilian film Black Orpheus, which won an Academy Award for Best Foreign Language Film. Fantasy Records released "Samba de Orpheus" as a single, trying to catch the building bossa nova wave, but it was destined to sink without a trace when radio DJs began flipping it over and playing the B-side, Guaraldi's "Cast Your Fate to the Wind". A gentle, likeable tune, it stood out from everything else on the airwaves and became a grass-roots hit. It also won the Grammy for Best Original Jazz Composition. While "Cast Your Fate To The Wind" by Guaraldi achieved modest chart success as a single in 1963, a cover version two years later by British group Sounds Orchestral cracked the Billboard top 10 (in the spring of 1965). Unlike many songwriters who grow weary of their biggest hits, Guaraldi never minded taking requests to play it when he appeared live. "It's like signing the back of a check", he once remarked. Guaraldi then recorded an album called Vince Guaraldi, Bola Sete and Friends with guitarist Bola Sete, Fred Marshall (bass) and Jerry Granelli (drums). This began a period of collaboration between Guaraldi and Sete where Guaraldi began experimenting with bossa nova-influenced music as well as with the electric piano. 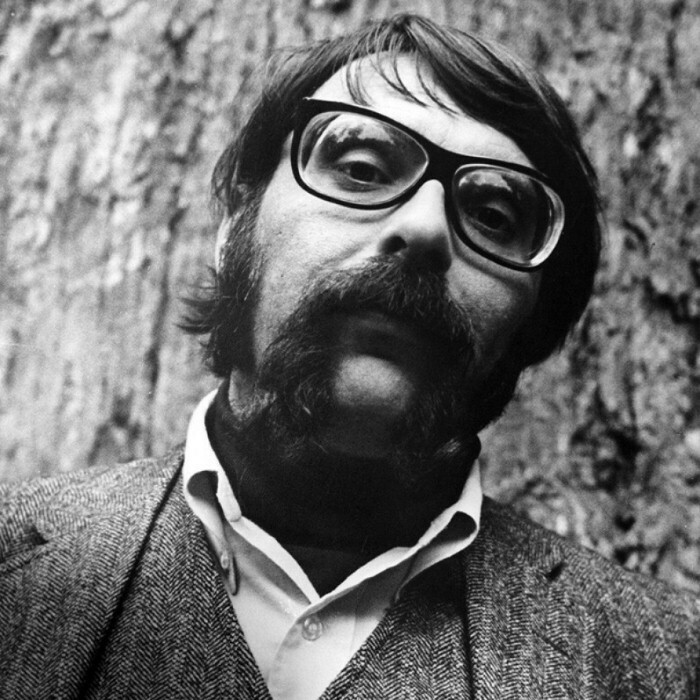 This led to the recording and release of his album The Eclectic Vince Guaraldi. Shortly after this, Guaraldi undertook the role of composer and pianist for the Eucharist chorus at the San Francisco Grace Cathedral. Utilizing his Latin influences from his bossa nova days with Bola Sete, Guaraldi composed a number of pieces with waltz tempos and jazz standards and later recorded this performance in 1965. While searching for just the right music to accompany a planned Peanuts television documentary, Lee Mendelson (the producer of the special) heard a single version of "Cast Your Fate to the Wind" by Vince Guaraldi's trio on the radio while traveling in a taxicab on the Golden Gate Bridge in San Francisco, California. Mendelson contacted Ralph J. Gleason, jazz columnist for the San Francisco Chronicle and was put in touch with Guaraldi. He proposed that Guaraldi score the upcoming Peanuts Christmas special and Guaraldi enthusiastically took the job, performing a version of what became "Linus and Lucy" over the phone two weeks later. The soundtrack was recorded by the Vince Guaraldi Trio, with drummer Jerry Granelli, and bassist Fred Marshall. Guaraldi went on to compose scores for seventeen Peanuts television specials, plus the feature film A Boy Named Charlie Brown as well as the unaired television program of the same name. Guaraldi died at age 47 on February 6, 1976. The evening before, he had dined at Peanuts producer Lee Mendelson's home and was reportedly not feeling well, complaining of indigestion-like chest discomfort that his doctor had told him was nothing to worry about. The following evening, after concluding the first set at Butterfield's Nightclub in Menlo Park, California, with his interpretation of Eleanor Rigby, Guaraldi and drummer Jim Zimmerman returned to the room they were staying in that weekend at the adjacent Red Cottage Inn, to relax before the next set. Zimmerman commented, "He (Vince) was walking across the room and just collapsed. That was it." His cause of death has been variously described as a heart attack or an aortic aneurysm. Guaraldi had just finished recording the soundtrack for It's Arbor Day, Charlie Brown earlier that afternoon. Guaraldi's untimely passing was a blow to his colleagues. "It was totally unexpected", said Peanuts executive producer Lee Mendelson. "The day of his funeral, they played the Charlie Brown music over the sound system in the church. It was not an easy day; he was so young. It was one of the saddest days of my life. He was up to my house the night before, and said he had not been feeling well, and didn't know what it was." Peanuts animator Bill Meléndez added, "He was a real good guy and we miss him." After Guaraldi's death, the music for the Peanuts series was composed first by San Francisco film and television composer Ed Bogas, who scored several Peanuts TV specials and motion pictures up to the early 1990s, along with Bogas' future wife Desirée Goyette, and occasionally, Judy Munsen. Bogas also did his own arrangements of Guaraldi's "Linus And Lucy" theme as a nod to the musician (most notably in It's Your First Kiss, Charlie Brown and What a Nightmare, Charlie Brown!). A definitive, book-length biography of Guaraldi was published in March 2012. Vince Guaraldi at the Piano, by author and noted Guaraldi archivist Derrick Bang, chronicles Guaraldi's career and role in the Northern California jazz scene, and also includes a complete discography and filmography, as well as an appendix of quotations from Guaraldi's former sidemen. Noted jazz musician David Benoit has often credited Guaraldi and the original Peanuts Christmas special music for his interest in jazz. In 1985, Benoit recorded a cover of Guaraldi's "Linus and Lucy" for an album called This Side Up, which enjoyed considerable radio airplay and helped launch the smooth jazz genre. He released "Cast Your Fate to the Wind" on the album Waiting for Spring in 1989. New-age pianist George Winston released a Guaraldi tribute album in 1996 entitled Linus and Lucy – The Music of Vince Guaraldi. Winston performed many Peanuts songs that had not been released by Guaraldi himself. "I love his melodies and his chord progressions", Winston said of Guaraldi. "He has a really personal way of doing voicings." The album was very successful, leading Winston to record a follow-up entitled Love Will Come – The Music of Vince Guaraldi, Volume 2, released in early 2010. In 2003, a heretofore unknown live performance of the eight-part "Charlie Brown Suite" was released on the album The Charlie Brown Suite & Other Favorites. The performance was culled from tapes in Winston's private collection.